This week has provided ample opportunity for all of us who doubted Japan’s ability to reach the Asian Cup final to take a long, deep drink from the fountain of hubris. Few expected Japan to defeat Iran, the heavily favored Asia No. 1 which entered the United Arab Emirates as a strong contender to claim its first continental title in 43 years. 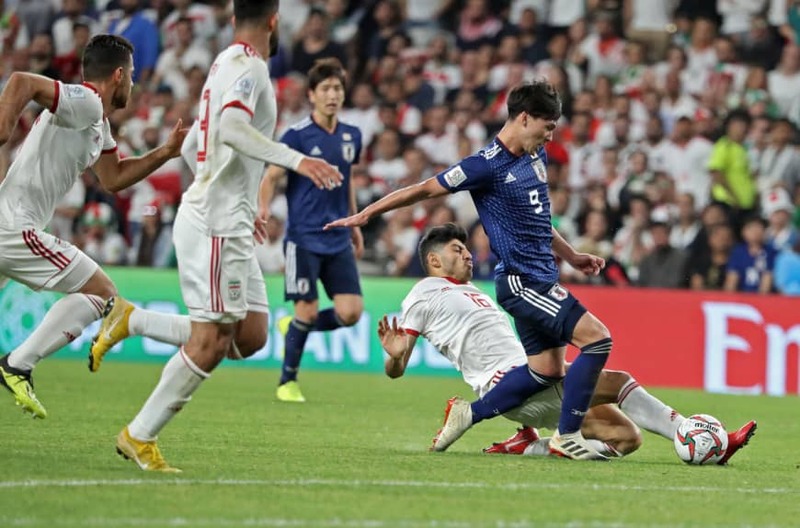 Even fewer could have predicted the way in which it would happen, with Team Melli comically self-destructing in the second half and the Samurai Blue flexing their way to a 3-0 win on two goals by Yuya Osako and an emphatic dagger by Genki Haraguchi. 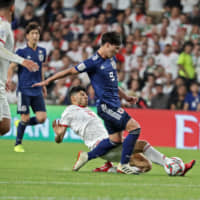 Over a tense first half, Iran never looked as strong as its reputation had suggested, and Japan was competent enough to avoid any mishaps. Goalkeeper Shuichi Gonda managed to escape the dangerous situations he faced, even if some were of his own making. Center back Takehiro Tomiyasu was a beast, showing up wherever he needed to be to blunt the Iranian attack. Equally welcome was the return of Osako to the starting lineup after his struggles with injury this tournament. While the Werder Bremen man’s opening goal will go down as one of the most important of Japan’s campaign, much of the credit should go to assist-provider Takumi Minamino. The Salzburg attacker had been slammed for his tournament form, and for good reason. In five matches he had shown little of the dynamism he put on display in Japan’s autumn friendlies, while teammate Ritsu Doan was arguably Japan’s most competent player up front. Then came the 56th minute. Minamino appeared to be tripped up at the edge of the box by defender Mohammad Kanani, who along with four of his teammates preemptively turned around to protest what they had expected to be a whistle from the referee. But there had been no whistle. Minamino got up, kept the ball from going over the line near the corner, and lofted a cross to the virtually unmarked Osako who headed in with little hesitation. Iran crumbled after surrendering its first goal of the tournament — Morteza Pouraliganji’s poor handball as he attempted to block a Minamino cross set up Osako’s second, this time from the spot. The rest of the match was littered with petty fouls and several skirmishes between players, especially after Haraguchi took it to the net in stoppage time. While Osako’s performance was exactly what Japan needed, there are some concerns that he is the Samurai Blue’s present, but not the future. Japan’s final opponent of this Asian Cup will be Qatar, which in its own semifinal destroyed host UAE 4-0. Much has been made of the country’s aggressive naturalization policies — just around half the squad are of Qatari descent — but the success of the 15-year-old Aspire Academy, the elite program tasked with developing Qatari athletes, cannot be denied. The ongoing political situation has added another dimension to the tournament — Qatar is currently under economic boycott from many of its neighbors, leaving citizens of the host nation unable to watch the tournament on TV as Qatari network BeIN Sports holds the regional broadcast rights. None of the controversy has stopped Felix Sanchez’s side from conceding not a single goal on the way to the final, beating 2015 runner-up South Korea and 2007 winner Iraq in the process. Perhaps nobody believed in Friday’s card more than former Barcelona legend Xavi, who now plies his trade for Al Sadd in the Qatari first division. His pre-tournament prediction of a Japan-Qatar final, with Qatar coming out on top, drew scorn from the online soccer community, who accused him of paying lip service to his bosses. But the former Spain international turned out to have correctly predicted seven out of eight quarterfinalists as well as his dream final. Samurai Blue fans will be hoping his powers of prediction run out on Friday night.